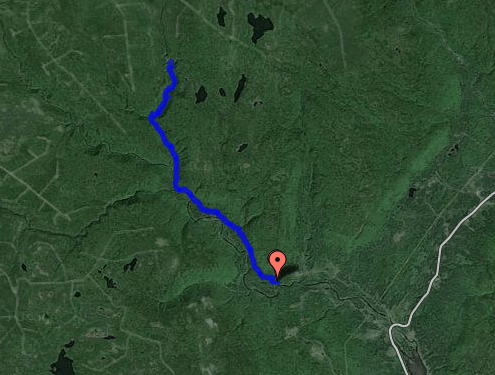 North River Falls Hiking Trail - Hike Cape Breton. The trail starts by climbing a steep hill which joins an old settlement road made/used by Scottish settlers in the mid 1800’s. Many of their stone old foundations are still intact in various locations along the hike. The settlement road goes through a series of mixed hardwood and softwood forest winding along the mountains. Eventually, the woods along the trail thins out and you hit the old MacLean farm. At the fork in the trail veer to the right and head towards “the benches” and onward to Old Forest. Once you make it through the Old Forest the hike becomes increasingly more difficult as you wind your way through more mountains, scale riverside cliffs, nervously cross old hand-made bridges and cross over the east branch of the river twice. As you near the end of the trail the land mass opens up there are the falls. 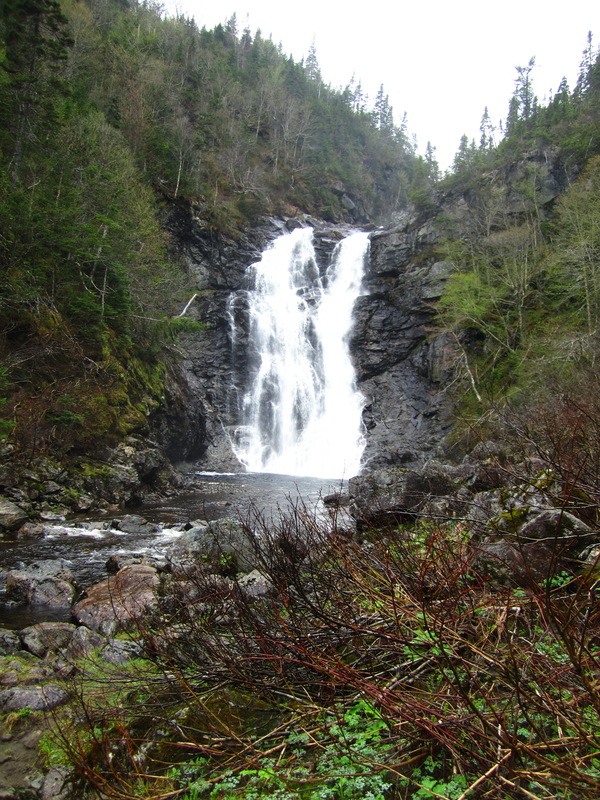 The largest waterfalls in the Maritimes, the mighty 32 meter North River Falls is a truly breathtaking sight. The mist from their watery wrath will be cooling your face as you recover from the initial sighting and make your make way closer to the base. In June through mid-July a large number of Canadian Tiger Swallowtail butterfly’s migrate and take limited residence here and along the river. Time it with the leaves changing the fall for an extra mind-numbing experience. Possible wildlife: rare American martin, moose, foxes, owls, hawks, pheasants, deer and coyotes. There is also a high population of black bears, lynx’s and bobcats in the mountains. From the Cabot Trail starting point in St. Ann’s, drive 15 minutes and turn left onto Oregon Rd in North River Bridge. There is a picnic park at the end about 3.5 km’s in. Parking is available and the trail head is in the back corner of the picnic park. See the Trail Head tab to get exact directions from any starting point. The trailhead is two trails. The trail closest to the river is shorter and less difficult and takes about an hour and a half to complete ( probably less for younger hikers who don’t stop to look around). It’s wet and boggy in areas.